This antique clock is made of porcelain. 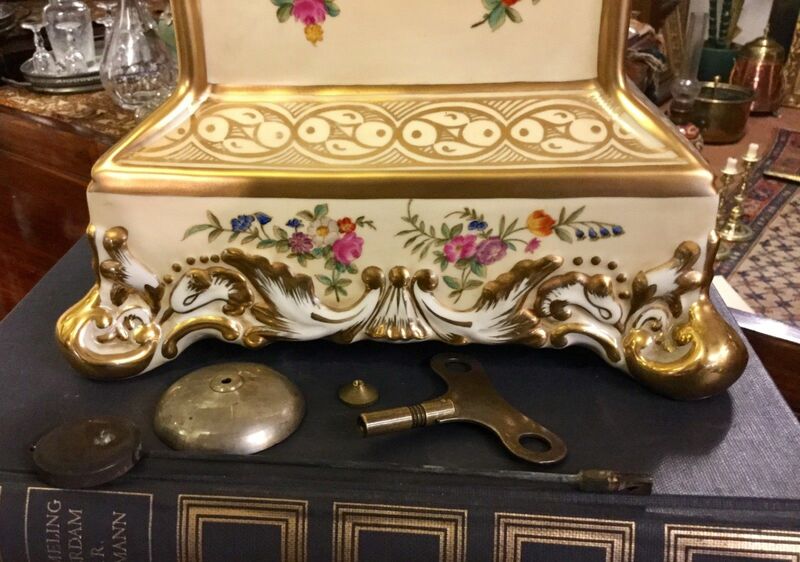 The clock is an antique porcelain mantle clock. The clock dates back to the 1860’s and originates from France. The clock is all original, the mechanics and paint are not retouched. This particular clock is not too big but isn’t too small, it has a height of 39 centimeters and a base of only 15 centimeters. 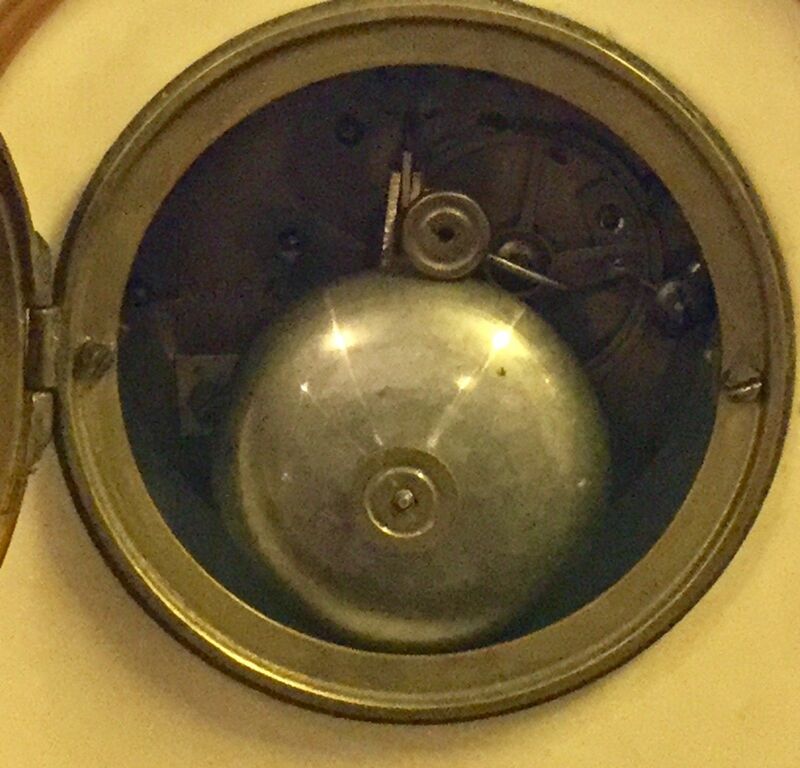 The clock also has a key to get into the original pendulum. This clock is an 8-day clock. It is great for its original pieces and paint with no defects. It is also in great working condition as well. With all original pieces and having all working parts is amazing considering the date this clock was made. The clock sounds every half hour and hour with a bell. This clock is great at keeping time, time is kept extremely well considering the age. It is in mint condition. However, the focal point of this clock is its design. The design on this clock is very calm and peaceful. It has a beautiful radiation to the clock because of the porcelain. 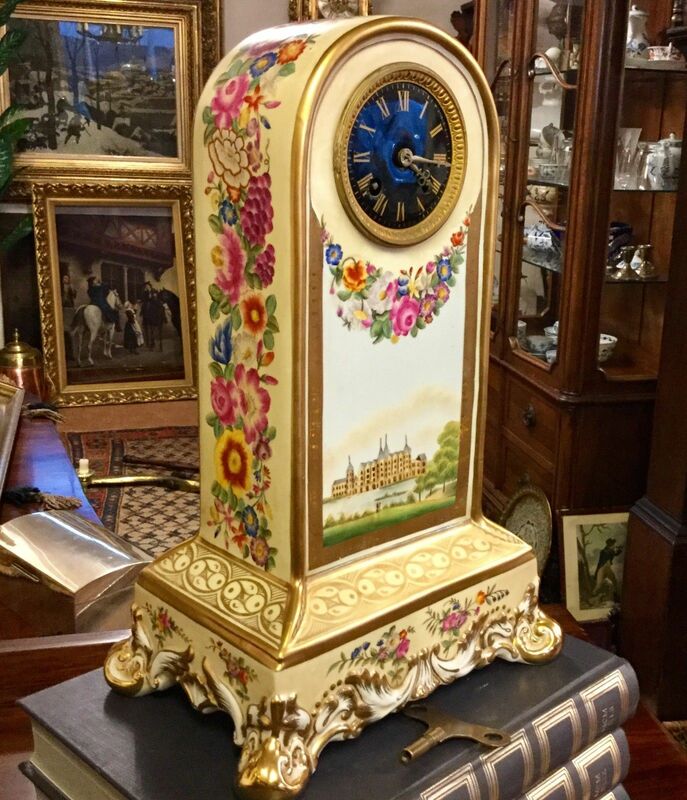 The painting on this clock is beautifully done. It has many flowers with grapes as well as an older mansion type building on the face of the clock with a background of water and a park. The clock has many gold accents that make the bold white color of the porcelain pop. 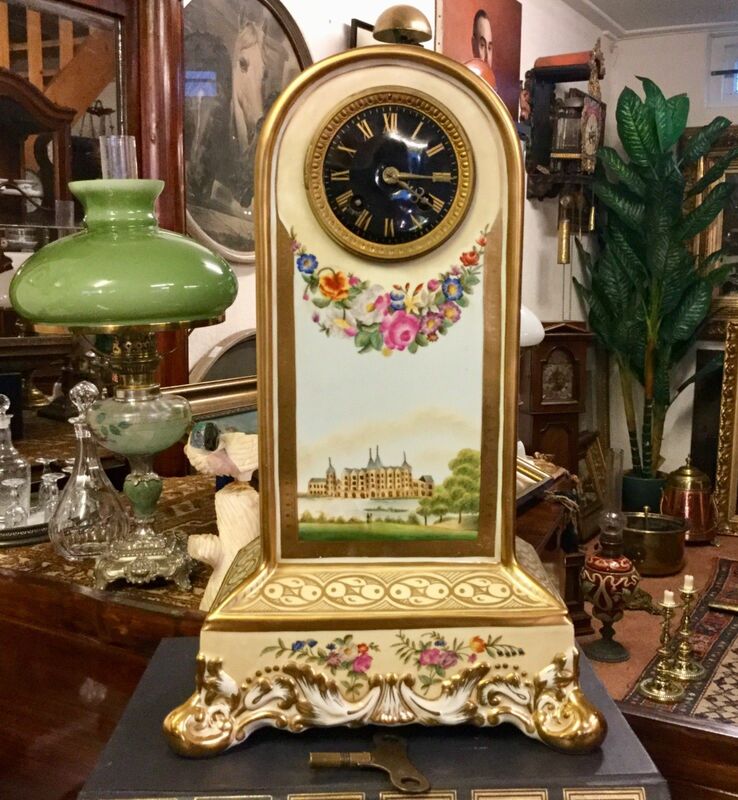 The beautiful colors with the flowers and grapes combined with the accents of gold on a white background make a beautiful clock. This clock has all the aspects for an amazing clock. The clock has an amazing design that is very stylish. As well as being beautifully painted, this clock is also amazing because of its age. Even though this clock is from 1860 it has all its original pieces and mechanisms. The clock even works with all the original paint and pieces. This is rare because most clocks that date back to this time period are not all original.